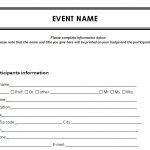 The most comprehensive way to make sure your next event is a complete success; the Event Budget Sheet is the best budgeting template on the market. The design of this simple document is broken down into three different pages. The best part about this template is that it’s absolutely free to download and use. 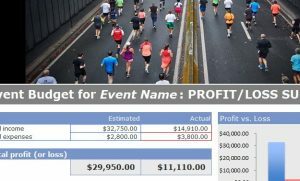 It also plans ahead by giving you a section that displays your profit and loss margins for the event as a whole, well after the actual event. Use the income and expense tabs to document all your finances and let this simple template take care of the heavy calculations automatically. 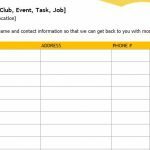 Save time planning the important things about your event, download the free template today. The first step is to download the free template to your computer. Once you have the document file, feel free to start customizing the sheet to fit your unique needs. At the bottom of the template, you’ll notice 3 different tabs in which to change your Event Budget. Begin in the “Income” tab and change any of the items or categories to butter suit your event. Next, simply enter the estimated income you are expected to receive and when you get the actual amounts, you’ll fill that column out as well. You will continue to do the same in the “Expenses” tab. 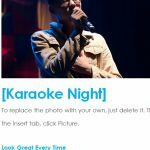 Just edit and enter every expense you come across while you plan your event. Remember, you can always add new items simply by clicking on a new row and writing in a new expense. The “Profit-Loss Summary” page is where you can see an overview of your profit or loss for the entire event. The actual and budgeted amounts will be displayed side-by-side, along with a helpful graph that illustrates how successful your event has been. 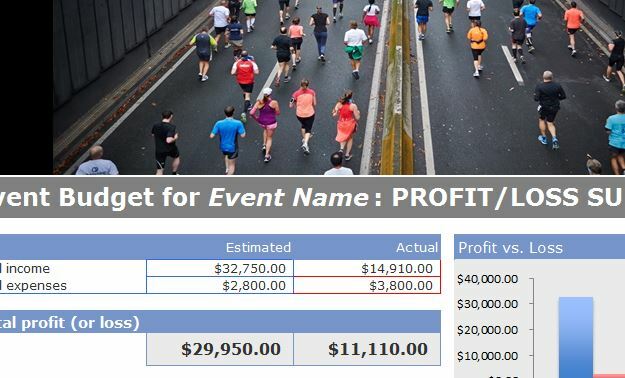 If you want your event to be a smashing success then the Event Budget template is just the tool for you.